Now, more than ever before, there are a large number of devices that reside within your home which require an internet connection. In the mid-to-late 90s, it was your desktop computer. In the first decade of the 2000s, it was your laptop and eventually your cell phone, maybe even your printer. Today, you’re looking at dozens of devices that need to connect to your router. You have laptops for you and your spouse. Your children have tablets and PCs. Everyone in your home has a smartphone. But it doesn’t stop there. Now you have smart devices that connect to your network. Your thermostat, your lights, your televisions, and don’t forget about your smart assistants. To make sure you enjoy your high-speed connection, you’ll want to purchase a high-quality router to support all those devices. But which ones to choose? Routers have a variety of features that you may or may not be interested in having. These could be things like what type of technology it supports, the number of antennas, and USB and network ports. The Asus AC5300 and the Linksys EA9500 are two such routers. Let’s take a detailed look at how these two stack up against one another and which one makes the most sense for you. The AC5300 is a top-rated router which provides you with a reliable and high-powered network. This router will ensure that all your information and data is secure with its AirProtectoin feature, which detects vulnerabilities and addresses them before they become an issue. The router also has what ASUS refers to as a long bandwidth connection, a feature that makes it easier to share data locally within your own network. Let’s take a closer look at what this router has to offer. Below are some of the features you’ll enjoy with the ASUS AC5300 router. With the AC5300 router, you’ll get a fantastic network connection with tri-band capabilities which allow it to support a larger number of devices. You’ll get both 5 GHz and 2.4 GHz bands, so you don’t have to worry about whether or not your older devices will work with your new router. Additionally, it supports 802.11 with 4×4 capabilities. This means you’ll get a nice boost out of your router which can provide coverage of up to 5,000 square feet. Speaking of 4×4 technology, the AC5300 support MU-MIMO, which ensures that your network can easily handle all the devices in your network at the same time. This means it will manage a heavy workload while keeping your devices running at peak speeds. The AC5300 has a USB 2.0 port on its left side, along with buttons that allow you to disable and enable its LEDs. On the back side of the device, you’ll find a USB 3.0 port, four Gigabit LAN ports, a WAN port, and the power button. The Smart Connect feature is a proprietary benefit offered by ASUS which gives your router the ability to deliver quality connections. With Smart Connect, the AC5300 has the ability to switch between its 5GHz and 2.4GHz band without disrupting connectivity to the device. The router knows how to adjust bands based on its current load, strength of signal, and speed. This gives everyone using the network the uninterrupted connectivity they need to have a pleasant experience. If you’re a gamer, you’re really going to love the AC5300. 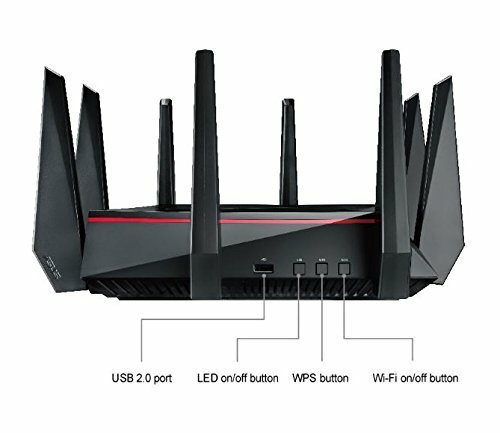 This versatile router can connect easily to the Gamers Network. Additionally, it uses NutroQAM technology, which provides an excellent gaming experience. 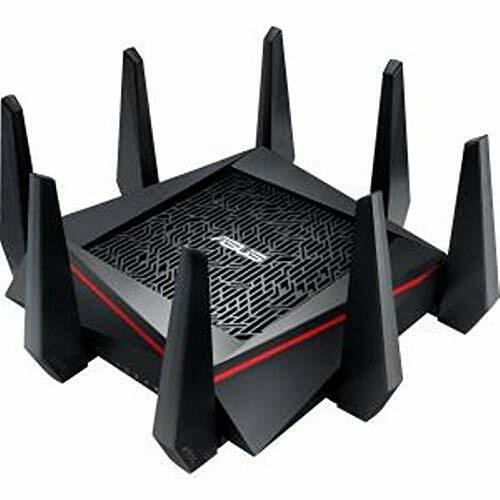 The AC5300 provides wifi speeds of up to 5334 Mbps, which makes it the perfect router if you’re heavy into gaming and streaming live content, even in 4k. This router is arguably the best router on the market when it comes to 4k streaming and gaming in your home. With the AC5300 you’ll find that it’s easy to use and operate. This is mainly due to a user interface that is friendly and intuitive. There are plenty of advanced features and options available within the interface of the AC5300. Its three-step installation guide makes getting the router up and running a painless process. 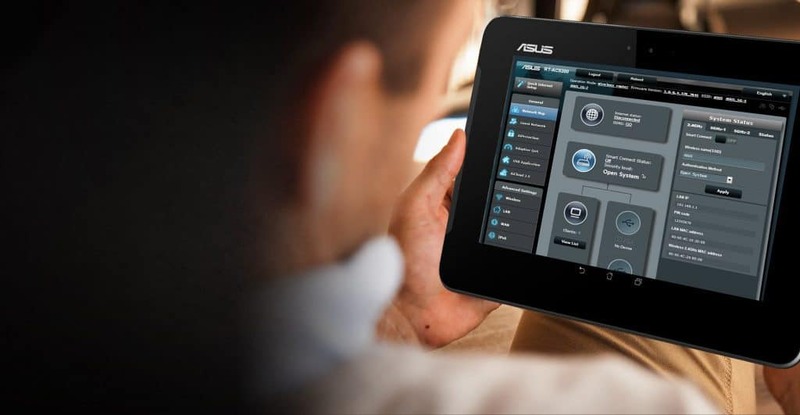 The ASUS AC5300 also offers its users a mobile application so they can access and manage their router with ease. Within the app, users have the ability to quickly find information related to viewing real-time network information. Within the mobile app, you can manage both your security settings and your connected devices. Here’s a quick list of pros and cons for the ASUS AC5300 router. Read more here about the Best DD-WRT Routers! The Linksys EA9500 provides its users with a high-speed network connection. 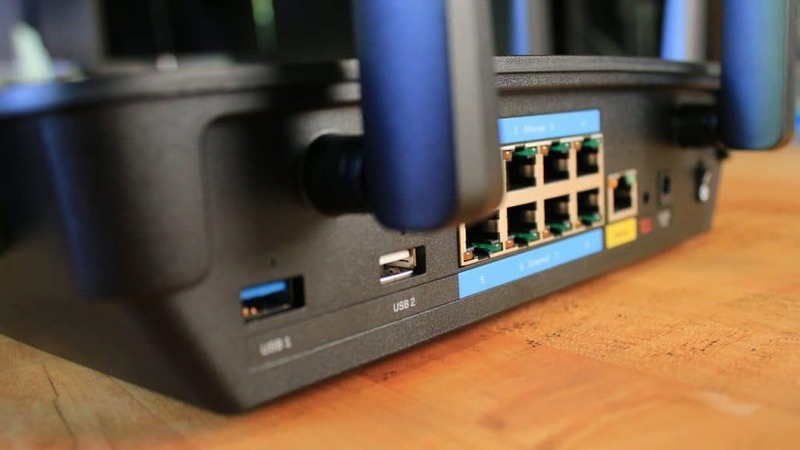 If you’re looking for a smart router that offers a solid connection and has the ability to quickly move large files, then the Linksys EA9500 might be the right device for you. Boasting wifi speeds of almost 5.3 Gbps, you shouldn’t have any trouble streaming content. You’ll also get eight ethernet ports, along with eight external antennas. These antennas help to expand the range of your network. Even though the Linksys EA9500 is one of the best and highest-rated routers available on the market, you’re sure to get your money’s worth. Here’s an idea of the features you’ll get if you decide to purchase a Linksys EA9500. Linksys has provided a quick and easy setup method for getting your EA9500 up and running. Its web app guides you through the entire process, which means you don’t have to mess with a CD or trying to figure things out on your own. It’s simple and intuitive, so you won’t become lost in a bunch of technical jargon. Just like the AC5300, the Linksys EA9500 is a tri-band router. With multiple reliable connections on either 2.4GHz or 5GHz bands, you’ll have the ability to connect several devices at the same time. The EA9500 provides a speed of 1,000 Mbps. If you want to eliminate lag and buffering, you can adjust a few settings and realize speeds of nearly 2,200 Mbps. The Linksys EA9500 offers MU-MIMO which helps to enhance your network connection. With MU-MIMO technology, you’re getting the latest in 802.11ac capabilities. This means you can stream at the same time with several devices. Additionally, it makes gaming a positive experience. If you need a lot of wired connections with your router, then you’re in luck. The Linksys EA9500 comes with eight such ports. This makes the router more versatile, providing your wired devices even faster speeds. These reliable ports can also be used to transfer data to your printer, PC, or other devices. 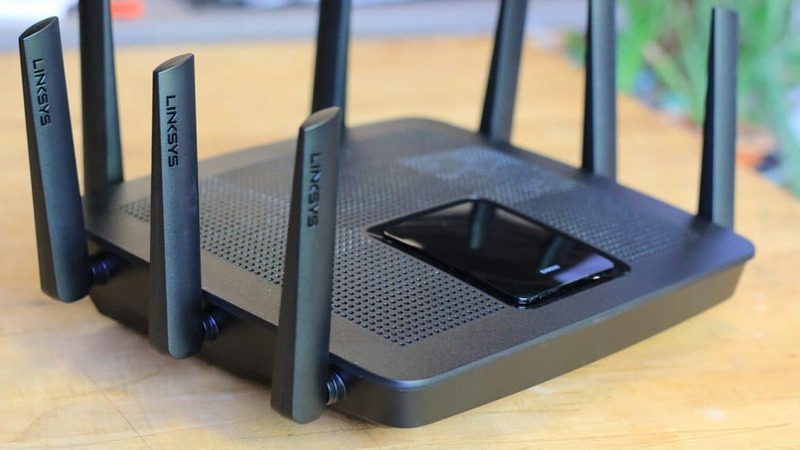 The Linksys EA9500 also includes eight antennas, so if you’re looking to expand your network connectivity, this is the router for you. These additional antennas make it easier to connect to your network even if you’re a good distance from your router. As you move throughout your home, the Linksys EA9500 will ensure that you’re always connected to the signal with the strongest output. Whether you’re in your office or moving to your kitchen, the router will determine which band has the strongest signal and automatically switch if necessary. Your data and personal information are very important, so it’s imperative that you have a wifi router that will protect it. With the Linksys EA9500, you can easily set up a secure password to diminish the chances of being hacked. The router also provides WPA/WPA2 encryption and offers an SPI firewall will helps to keep your connection safe from malware and viruses. The Linksys EA9500 has an efficient and powerful processor. Boasting specs like a dual-core 1.4GHz processor mean you’ll have a fast and reliable wifi connection. This is the perfect router if you have a large home or your office is in need of an upgrade. The EA9500 aids in downloading big files in a shorter amount of time. Additionally, the router will handle several streams of data at the same time, so you don’t have to worry about whether or not a transfer will get bogged down. Of course the Linksys EA9500 isn’t perfect, but it might make you think it is. Here’s a pros and cons list of this high-quality router. Here’s a high-level comparison table so you can get an idea of how these two high-profile routers stack up to one another. Here are two great high-end routers that will deliver great connectivity speeds while supporting the devices in your home. Each router offers the latest in wireless technologies, along with all the features you would hope to find in a high-quality router. Which one is the right router for you? That’s for you to decide. Either way, you’re getting a great device that will provide an excellent user experience.